It's July. It should be blistering hot, drowning in humidity. It's July. It is pleasantly warm coupled with no humidity. This low-80s weather has been an absolute gift. It makes enjoying nature so much more enjoying. 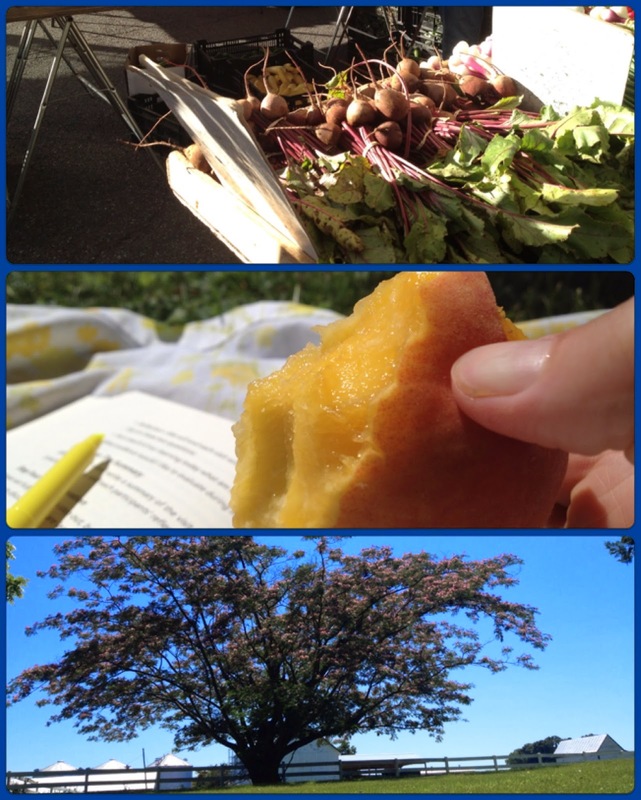 Today was spent outside...running, Farmer's Market, picnic, reading on a blanket, cook out, and more fireworks. All brought to you by the amazing weather. Moral of the Story: If it's 80 in July, stay outside all day.